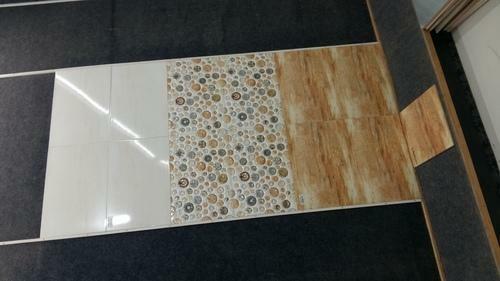 Capitalizing on rich industry experience, we are regarded as a premier manufacturer, supplier and exporter of a much appreciated range of Ceramic Digital Wall Tiles, Elevation Series Tile . Our portfolio comprises an alluring selection of items, such as Luster White Concept Wall Tiles, Matt Light Dark Wall Tiles, White Glossy Floor Tiles, and Bathroom Sanitary Wares. We have carefully selected talented designers and skilled personnel, who give rise to an exceptional range of products. To survive the ever-changing tide of the market, we seek to innovate our products, so that these remain the main preference of the buyer. We have developed a sound and sophisticated infrastructure, which assists us in transforming our vision into reality. Apart from this, we have an intricate chain of dealers spread throughout the nation, who form the optimum interface between ourselves and our customers. To validate our quality, we have been certified with the distinction of two global EXIM awards. Our strides are focused towards attaining quality in every department, which makes us the first choice amongst buyers in India and overseas.